How Long Does It Take to Become a Firefighter in Texas? How Much Does a Firefighter Make in Texas? These are some of the minimum qualifications for you to meet if you want to work as a firefighter in the state of Texas. In addition to these your city’s fire department may have its own requirements such as passing the entrance exam, etc. However, there is one requirement which is mandatory across all fire departments in the state of Texas and that is getting certified as a firefighter with the Texas Commission on Fire Protection (TCFP). This is mandatory especially if you want to work as a paid firefighter in Texas. 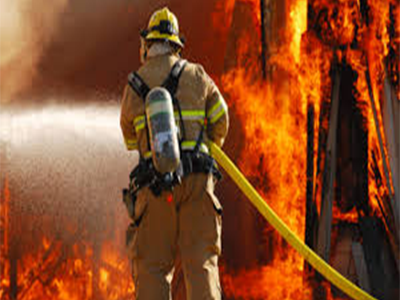 To earn TCFP Basic Fire Suppression Certification, it will take you months, if not years. This is in addition to spending time on fulfilling the minimum and specific qualifications to become a firefighter in your city. In short, the time it will take you to become a firefighter in Texas may be as little as a few months to 5 years, going up to 7 years. According to the US Bureau of Labor Statistics (BLS), the mean annual wage of firefighters in Texas (as reported in May 2017) was $53,480. According to BLS, in May 2017, the state of Texas was the second biggest employer of firefighters in the US after California. There were 27,900 firefighters in the state in May 2017. The biggest concentration of firefighters was reported in Houston-The Woodlands-Sugar Land areas and Dallas-Plano-Irving areas. In 2017, the state of Texas was the second biggest employer of firefighters in the US. Therefore if you are thinking of becoming a firefighter in Texas then you may find ample employment opportunities in the field; however, you will have to fulfill certain requirements and qualification before you can be considered for a firefighter’s position.